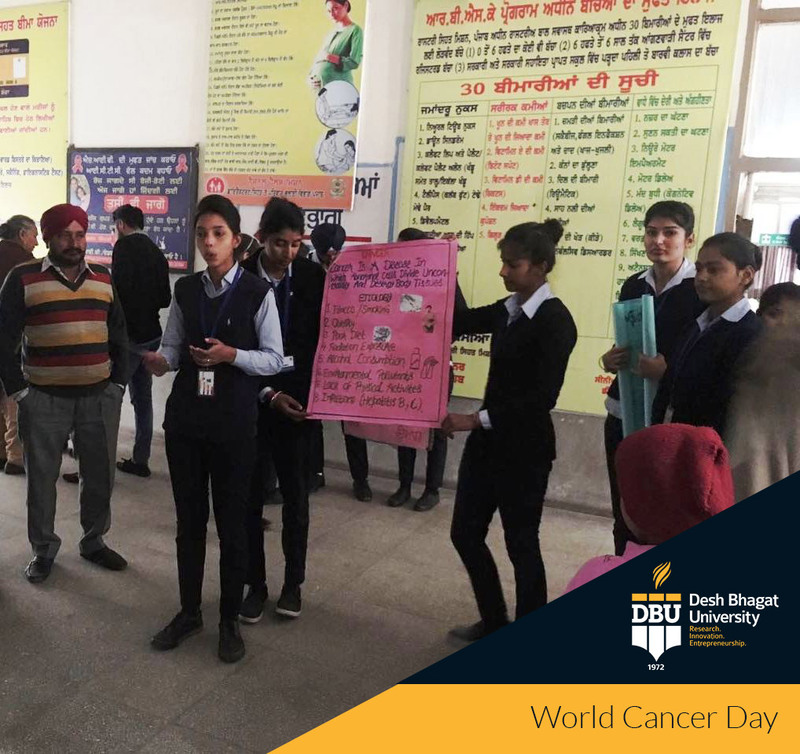 Desh Bhagat University Faculty of Nursing observed World Cancer Day with the objective to spread awareness about Cancer, its prevention, treatment and associated ailments. 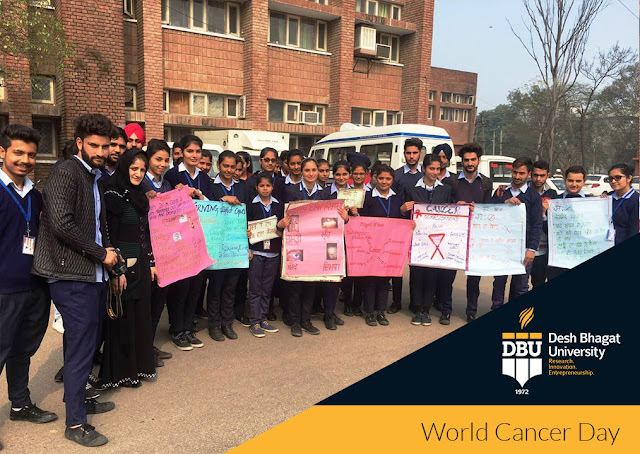 Students of all the nursing classes took part in it and made a march to surrounding areas to make the people aware about Cancer and other diseases. In another move, students accompanied by their teachers went to Civil Hospital Fatehgarh Sahib. 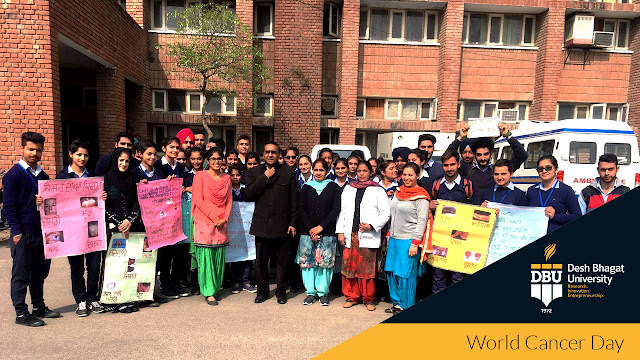 Here students made the people aware by giving adequate information about Cancer through charts and posters. The initiative was highly acclaimed by Civil Surgeon, Fatehgarh Sahib and other health officials. While speaking on the occasion Senior Medical Officer encouraged all the students and health department employees to create awareness among maximum number of people about Cancer and tell them how they can save themselves from this fatal disease. Faculty of Nursing Director Dr. Ramandeep Kaur Dhillon said that overall it was a very knowledgeable program for the students. She informed that Faculty of Nursing is regularly organising such awareness drives in which students participate with enthusiasm. University Chancellor Dr. Zora Singh, Pro Chancellor Dr. Tajinder Kaur, appreciated the initiative taken by Faculty of Nursing.